The LedTech range of DMX512 Decoders can be connected to a suitable DMX source or linked together in order to control our 12v or 24v LED lighting products by DMX. This four channel Eco Decoder has two DMX input options and output terminal blocks capable of 6A per channel when connected to a suitable LED Driver. This Eco version of our four channel DMX Decoder enables full control over most LED products with input voltages from 5v to 24vDC. 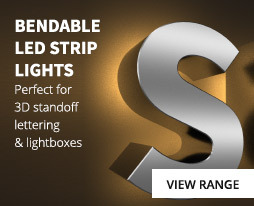 It is an ideal solution for controlling our range of Quad-Colour LED Flexible tape products and as the unit is fitted with two DMX input and output options, (3pin XLR and RJ45 terminal connectors), it is compatible with most DMX512 control interfaces and multiple DMX decoders can be linked together. The output capability is 6A per channel (24A total output over 4 channels), enabling more LED products to be controlled directly from the decoder (subject to connecting to a suitable LED driver). 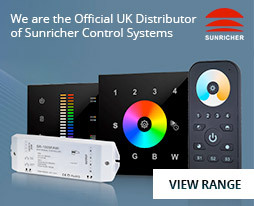 The DMX address is set using dip switches and there are a number of selectable programs such as colour selection, basic colour mixing and dimming together with an adjustable fade feature when connected to Tri-Colour LED Products. This is a perfect solution for installations where a DMX system to control lighting is installed such as hotels, restaurants and clubs.